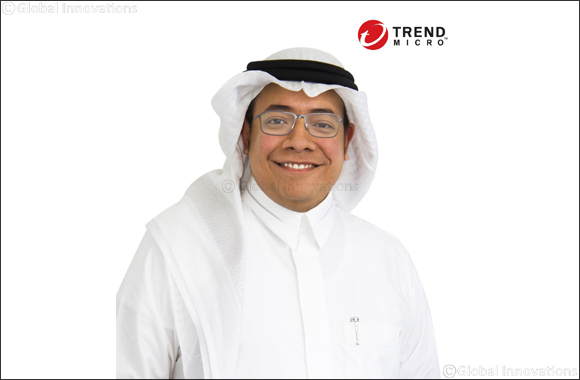 August 26, 2018: Trend Micro Incorporated (TYO: 4704; TSE: 4704), a global leader in cybersecurity solutions, is taking up the cudgels to support Saudi Arabia’s efforts on enhancing the security of the Kingdom’s ICT infrastructure. With the launch of the Trend Micro Saudi Academy for Cybersecurity, offered exclusively for Saudi nationals, the company aims to address the shortage of local expertise needed to keep KSA’s digital space secure. The cybersecurity workforce shortfall remains a top concern for governments and organizations not only in KSA and the rest of the Middle East, but across the world as well. The gap between supply and demand in cybersecurity professionals is feared to widen in the Middle East if not properly addressed, especially with the burgeoning ICT market in the region. Dr. Moataz Bin Ali, VP for Trend Micro Middle East and North Africa, called for addressing persistent challenges in the industry even as he has cited the benefits already brought about by the National Cyber Security Authority. “Saudi Arabia is one of the most targeted countries in the world when it comes to cybersecurity. While the local security landscape has improved over the past few years – thanks to the government raising the issue of strong cybersecurity to national importance – there are still challenges that need urgent attention, primarily the shortage of local cybersecurity talents. We are glad to be given the opportunity to help the government in advancing ICT security capabilities in the Kingdom,” said Dr. Ali. To this end, Trend Micro is making headway as it has recently started offering a certification program in IT security for Saudi nationals. The Trend Micro Saudi Academy for Cyber Security is offered to new and qualified graduates in computer science and related fields to help prepare them for high-demand IT jobs. The full training program lasts for two years, during which participants will gain practical hands-on knowledge and skills, at the same time, access to engage in regular direct dialogues with Trend Micro executives and business leaders to learn from their personal experiences. Successfully completing the full program can lead to a role as a full-time Trend Micro employee. “This is an opportune time to start a career in the cybersecurity field. Qualified candidates can fill openings in all facets of the business, from software development to sales to support and professional services. Trend Micro has already successfully delivered this certification program in the United States, Canada, and Brazil. We’re bringing it to KSA for the first time as we recognize that we have a great pool of talent in the Kingdom that will not only benefit from joining this program, but more importantly, support the digital transformation of Saudi Arabia’s economy,” Dr. Ali added. To guarantee that the certification program produces only outstanding cybersecurity talents, Trend Micro has set stringent admission requirements. “We will evaluate each candidate’s overall profile – not just the GPA – to find those who demonstrate a great passion to succeed in a cybersecurity career,” Dr. Ali commented. In addition to being a Saudi national and an undergraduate degree-holder of related programs, candidates should be fluent in spoken and written English and possess basic IT networking and security knowledge. Applicants admitted into the program should also have the ability to travel and participate in training or work assignments outside of Saudi Arabia, as well as complete all written and oral exams, group exercises, job assignments, and other tests to complete the program successfully.